Father’s Day is one week away so Amazon has put their lineup of Kindles on sale again, as they typically do with any gift-giving holiday. This time around the sale takes $20 off all Kindle ereaders except the Kindle Oasis, which doesn’t get discounted very often. The Kindle Essentials Bundles and Kindle Travel Bundles are $20 off their regular prices as well, and so is the Kid’s bundle. There are some remaining summer ebook deals too, with up to 80% off Kindle books. Also if you have an old Kindle that you don’t use anymore you can trade it in for up to $35 off a new Kindle. 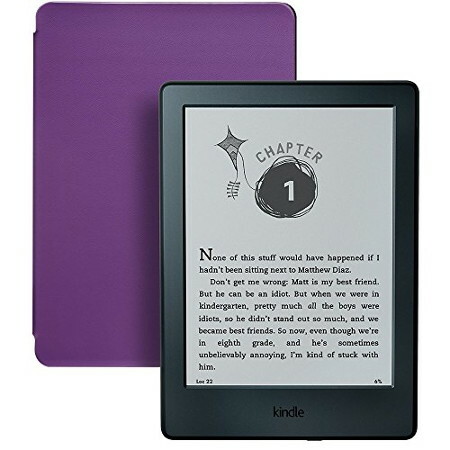 See Amazon’s Kindle Trade-in page for more details about the ongoing promotion. nope, not excited… not excited at all. Kindle Trade-in????? I’d give it away to a museum or a friend before I’d trade it in for 5 to 10 bucks. Kindle trade-ins are an absolute scam, not only that but they appraise them at a very low value and are extremely picky. To make matters worse you have to send it in through snail mail ground which takes about five days to get to its destination they take another week to appraise it and if they deny it guess what…. they send it through snail mail back to you text another five days. And offer was for a gift card? I’d rather sell it through eBay or OfferUp and get cash at double the value. I guess it’s just a matter of perspective. I think $40 for a Paperwhite 1 with the bonus credit is pretty fair for a 5 year old device that frequently went on sale for $99. Trading it in and only having to pay $59 to upgrade to the 3rd gen Paperwhite seems fair to me, but some people like to complain about everything. Nathan, did you see this bundle? I think this came out and valid for today only. Yeah, they just released the Travel Bundles about a month ago. The Oasis is the best deal of the lot because they aren’t charging extra for the leather cover like the other travel bundles, so it’s only $20 more than the regular Oasis. But I didn’t list it on this post because it’s not technically on sale, while the other two are $20 off the regular bundle prices. I see. I thought it was introduced for that price today only for Fathers day sale. I was wrong. Makes sense, thanks for clarifying.